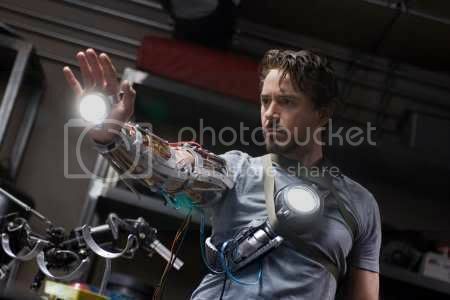 Thursday night I fell in love with Robert Downey Jr. all over again. Pretty much every time I see him in anything I fall in love again. Thank god for sneak previews. And Marvel Comics. There are so many movies to see this summer. But we have to make it to summer first. There has been absolutely disgusting weather for the past week or so. Last night, the first night I've gone out in quite awhile, it was pouring rain, which put a little bit of a damper on the evening. I lost my lighter. I fell asleep listening to rain fall. And it wasn't even spring rain; it was absolutely freezing out. 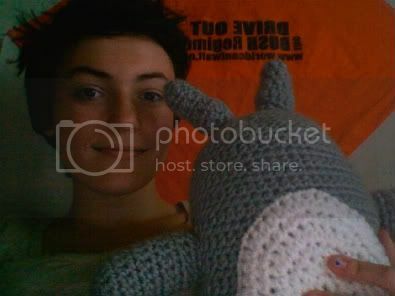 Overall, I think the most important thing I have on my plate right now is finishing James's crocheted Totoro. My psychology research paper means nothing in comparison.